High-traffic times are prime opportunities to maximize revenue. Your bartenders can navigate Heartland Digital Dining bar point of sale systems quickly and accurately, whether they’re starting a tab, entering orders, or taking payments. Digital Dining gives you detailed reports that show what’s in stock, how quickly it’s being depleted, and potential sources of shrinkage. You also have insights into which items on your menu bring in the greatest profits. Update your menu, even across a large number of items, quickly, and store as many as five levels of pricing for a single item so you can quickly make changes. You can also set Happy Hour pricing to automatically go into effect at the times you set. 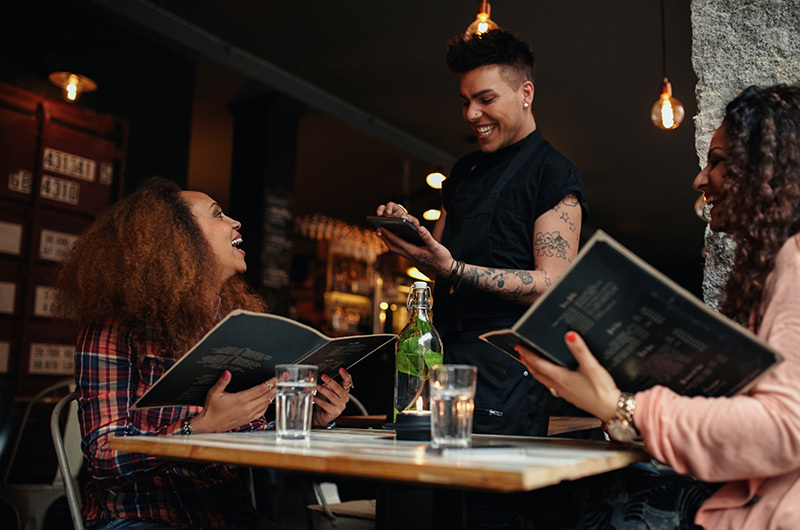 Customer Experiences – Digital Dining helps servers and bartenders with intuitive workflows and prompts that help them provide exceptional service. Loyalty Rewards Program – Let your regulars know you appreciate their business with a rewards program — and collect data insights on customers for smarter marketing. Gift Cards – Offer gift cards so your customers can treat their friends to a great night out — and to raise brand awareness and incentivize return visits. On-the-Spot Service – Equip servers with mobile point of sale for tableside orders and payment to keep customers happy and turn more tables. 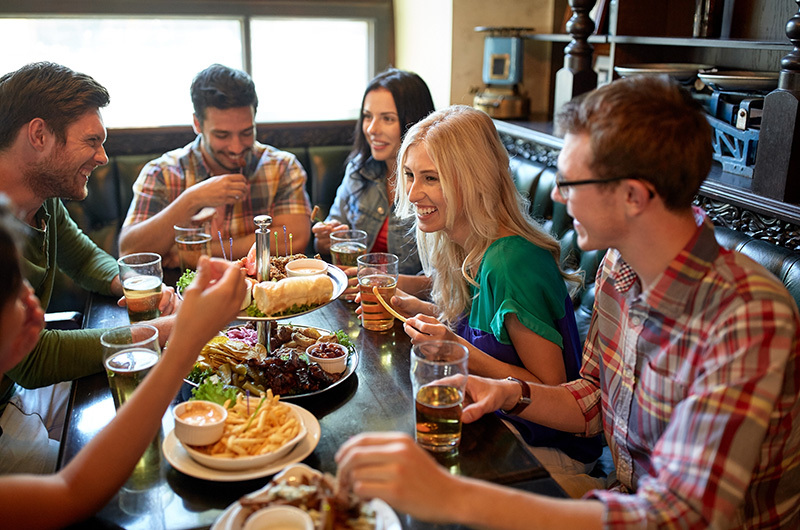 Digital Dining’s benefits don’t end with customer-facing features. These leading bar point of sale systems also have exceptional back-office features that make managing your business easier, like age verification, scheduling, and labor management. 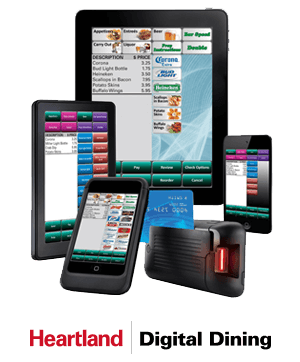 In addition, you can access your bar point of sale system from home or on a mobile device to keep a close watch on inventory and sales. A Heartland Digital Dining bar point of sale system combined with in-person service from experienced, Ohio-based provider POS Innovation is the perfect solution for your business.